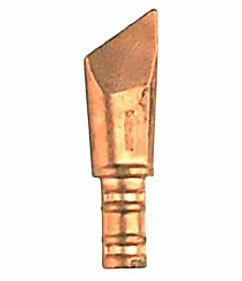 PRODUCT: SIEVERT #7003-50, 12 OZ DIAGONAL HAMMER COPPER SOLDERING BIT / SOLDERING TIP . PRICE/EACH. DESCRIPTION: REPLACEMENT PROPANE SOLDERING BIT / TIP. FITS SIEVERT PROMATIC, 7003, SIK, LSKSERIES PROPANE SOLDERING SYSTEMS. Johnson Manufacturing # 24-100-09 Pure Sal Ammoniac, 1-Lb. Solid-Form Bar. Price/Each.